No meat, no cheese, no problem. Eating well on a vegan diet doesn’t have to be a challenge. Sun Basket’s kitchen team proves you don't need meat or dairy to make incredible meals. Every week they offer delicious, inventive twists on cuisines from around the globe. Here are the recipes you told us you love the best. Inspired by a traditional kima sauce, the Greek version of Bolognese, we swapped protein-rich red lentils and walnuts for the ground beef. Roasted eggplant and umami-packed nutritional yeast pump up the flavor in this comforting Greek classic. 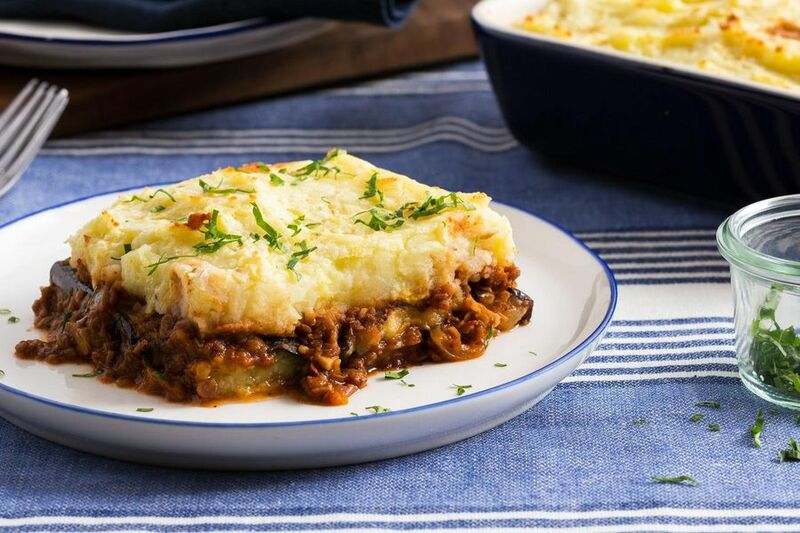 “I never thought I'd enjoy this as much as moussaka I had in Greece. The mister and I agreed; could have eaten the entire pan myself. 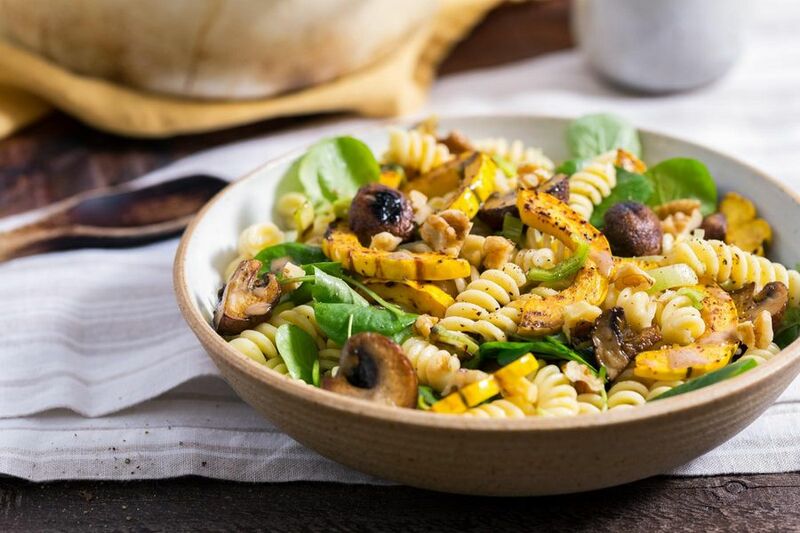 “ - Jeannine G.
Gluten-free quinoa fusilli is loaded with protein and has a rich, nutty flavor that will have you making this your go-to pasta. Sweet winter squash and savory mushrooms kick up the satisfaction quota while adding their own hearty flavors. “Another inventive dish. All the combined flavors worked in harmony. 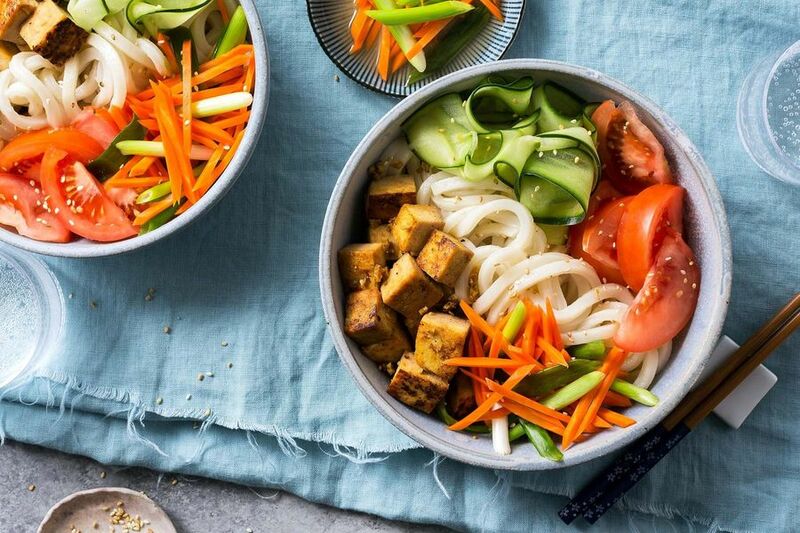 We even made our own version again the following day with a squash we’ve been meaning to use” - Kara E.
This colorful noodle salad has all the flavors and great textures. Chewy udon, umami-rich tofu, and crisp, vinegary pickles. It comes together in just 20 minutes and is a great meal make ahead and pack for a lunch al’desko. 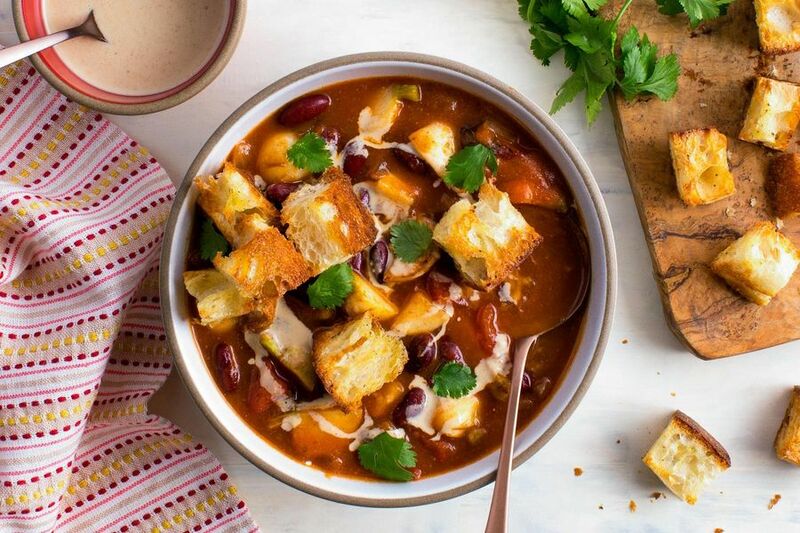 “My boyfriend (who is not vegan) said he would consider being vegan if all meals tasted this good!” - Julie G.
As filling and indulgent as traditional chili, our vegan version has hearty red kidney beans and pumpkin drizzled with our cashew crema. Chef Justine’s signature spice blend makes this chili blue-ribbon worthy. “Fantastic. The cashew butter creme made it out of this world” - Allison A. 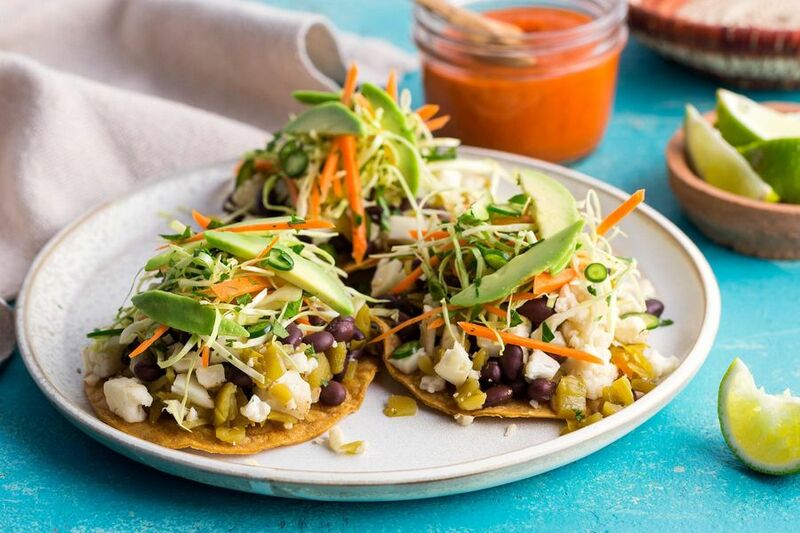 Fans of our house-made diablo sauce love these easy tostadas. Black beans and fresh chile a satisfying flavor while cauliflower “rice” delivers more nutrition and fewer carbs than traditional rice for a balanced, delicious, South-of-the-Border dinner. “Delicious. Plenty to eat and tasted wonderful. Will make this again!” - Renee H.